Besides that, I was working on some tutorial videos which I will talk about here but also share in another post. Very fun stuff! But here is the card sketch for over at the Mojo Monday blog…. 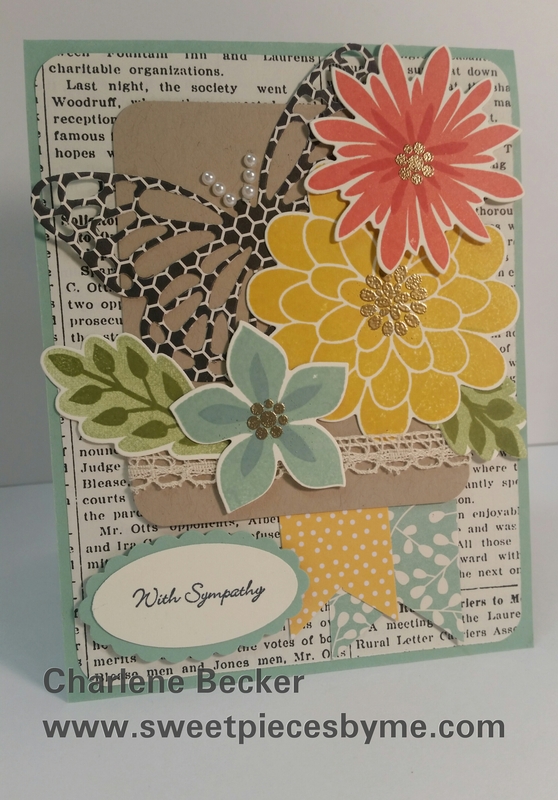 I had lots of ideas for this card….here is something coming together…I just love the Flower Patch stamp set with matching Framelits! I didn’t end up using the Blackberry Bliss. It seemed to dark to me as this was for a sympathy card. And here is my finished card. I used Mint Macaron for my base. 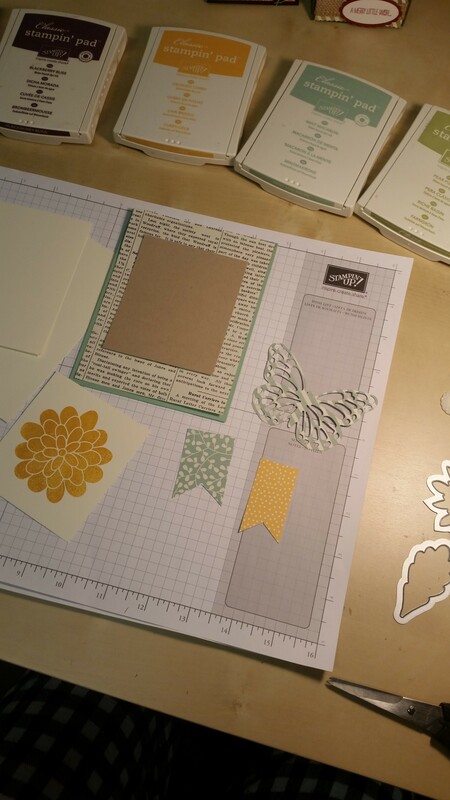 (5-1/2″ x 4-1/4″ size A2 card) I also used the Butterflies Thinlits. The Fine-Tip Glue pen works great for these types of die cuts. Check out my video HERE on how to use the Fine-Tip glue! I share a cute Halloween Anti-Bac holder in the video! Enjoy and thanks for stopping by!